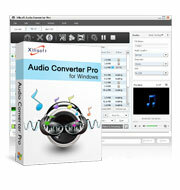 Xilisoft Video Converter provides excellent sound and image quality for audio and video converting. It supports converting between almost all video and audio formats including MPEG-4, AVI, H.264/AVC, DivX, XviD, RM, FLV, SWF, MOV, 3GP, WMV, MP3, AAC, AC3, M4A, WAV, WMA, etc., and offers optimized profiles for iPod, iPhone, PSP, Zune, Apple TV, etc. You can freely clip segments, crop video size, edit video effects and subtitle, and add video watermark. With the powerful and easy-to-use DVD converting function of Xilisoft DVD to Video, you can convert DVD to most popular audio and video formats breezily, e.g. MPEG-4, AVI, H.264/AVC, DivX, XviD, RM, FLV, SWF, MOV, 3GP, WMV, WMA, MP3, AAC, AC3, M4A, WAV, MP2, etc. There are so many powerful video editing functions such as clip video segments, edit video effects, add watermark and adjust subtitle. It offers optimized formats for iPod, iPhone, PSP, Zune, Apple TV, etc. Download Xilisoft DVD to Video now to enjoy DVD movies in hands! 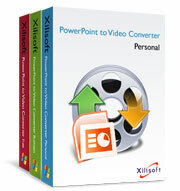 Xilisoft PowerPoint to Video Converter can convert PowerPoint presentations to various SD/HD video format files like AVI, H.264/MPEG-4 AVC, MPEG2, WMV, FLV, HD H.264/MPEG-4 AVC, HD MPEG 2 TS, HD WMV, etc., making them playable on HD devices, portable digital players such as iPhone, iPod, PSP and BlackBerry, YouTube or PC's media players. Xilisoft PowerPoint to DVD can aid users to convert PPT files in all formats, including ppt, pptx, pptm, ppsx, pps, ppsm, potx, potm and pot to a video compatible with DVD players and burn high-quality DVD discs on the go. Xilisoft Audio Converter Pro is a master program which empowers users to convert between audios of different formats, extract audio segments from videos/HD videos, convert CD to quality audios and make audio CD from audios as well. Xilisoft DVD Creator 6 provides the easiest and creative solution to convert the most popular videos formats such as AVI, MPEG, DivX, DV, VOB, WMV or iPhone 4 videos (MOV) to a format that is compatible to play with most portable or home DVD players and burn great DVD discs. With the powerful DVD copy and backup functions of Xilisoft DVD Copy, you can easily copy DVD movie, including copy DVD-5 to DVD-5, DVD-9 to DVD-9, DVD-9 to DVD-5. It provides you with two DVD copy options: full DVD disc copy and main movie copy standalone. Additionally, it can copy DVD to ISO file or DVD folder for backing up to hard disk drive, and even burn ISO file or DVD folder to DVD disc. 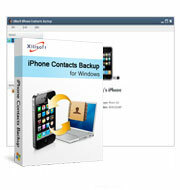 Xilisoft iPhone Contacts Backup is a complete iPhone contacts software that will give you incredible peace of mind with your cherished contacts! Safely backup your contacts to an unlimited number of destinations, and never again experience the trouble of lost or corrupted contacts! 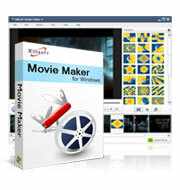 Xilisoft Movie Maker Xilisoft Movie Maker is a great solution for novice videographers looking for a simple and easy way to edit and create video projects. The software eliminates most of the complexities of video editing through an automated approach to video movie creation. 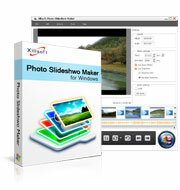 Xilisoft Movie Maker helps you save hours on your video editing and easily turn home videos into movies on DVD or CD. Xilisoft Video Cutter 2 is designed for users to clip video segments from video files(including High Definition videos) to retain the favorite part of a video. Xilisoft Video Editor 2 is the most complete and sophisticated video editing software that allows you to input various source files from different origins, edit them with special effects, and at last export your video creations in multiple ways for different purposes. 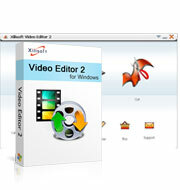 Xilisoft Video Joiner 2 is the best video editing software that helps you to merge several separated videos into one with special transitional effect. Xilisoft Video Splitter 2 is a convenient program which can help you to split one video into several segments to coincide with the proper length with ease. 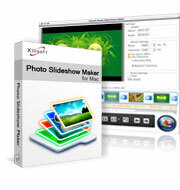 Xilisoft Photo Slideshow Maker, the professional photo slideshow making software, helps you create photo slideshows from vocation, party and meeting pictures with background music inserted and transitional effects applied. Nearly all video formats are supported to output. 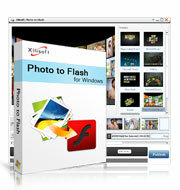 Xilisoft Photo to Flash is a wonderful conversion program that assists in converting your photo collections to quality flash for more vivid enjoyment on your favorite photos. Xilisoft YouTube HD Video Converter can help you to logon YouTube directly and watch, download and convert YouTube High Definition videos in resolution of 1080p or 720p and Standard Definition videos in one-step to multiple common video formats for enjoyment on your PC or digital devices. Xilisoft YouTube HD Video Downloader is a powerful and convenient High Definition video watching and downloading tool which enables you to view YouTube videos within the application, download your favorite videos by one click to your PC in super high-speed. Xilisoft Online Video Converter Xilisoft Online Video Converter enables you to view online videos from most popular online video websites, download and convert your loved online videos in one-step to your PC or multiple portable digital devices. 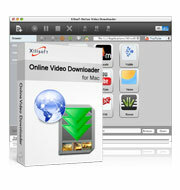 Xilisoft Online Video Downloader Xilisoft Online Video Downloader is a powerful and convenient online video watching and downloading tool which enables you to view online videos on most popular online video websites, download your favorite online videos by one click to your PC in super high-speed. Incredible Xilisoft MP4 to DVD Converter can help you to convert MP4 format videos as well as iPhone videos to DVD video format and burn them to high-quality DVDs. It converts MP4, AVI, MPEG, MPG, M2V, DAT, VOB, M4V, MKV and H.264 format videos to DVD discs, DVD folders as well as ISO files fast and effectively. With Xilisoft Video to DVD Converter, you can convert common and high-definition (HD) format video files to DVD movies, ISO images and DVD folders. And it also helps you create DVD menu, and edit video effects to make DVD movies of your own. Xilisoft YouTube to iPad Converter Perfect YouTube to iPad Converter to download and convert YouTube FLV videos to iPad videos and music (720p H.264 HD video, H.264 video, MPEG4, MP3 and WAV ) in only one-step with fine-quality retained. 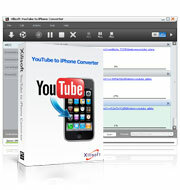 Xilisoft YouTube to iPhone Converter Incredible Xilisoft YouTube to iPhone Converter is a fast channel between YouTube videos and your iPhone. It is able to download and convert YouTube videos to iPhone videos in format of H.264 video or MPEG4 in only one single-step efficiently. You can also extract audios from YouTube videos and convert them to iPhone music for enjoy listening them anywhere and anytime. Xilisoft iPad PDF Transfer offers the most straightforward and convenient solution to transfer your favorite PDF/EPUB eBooks on PC to iPad/iPod touch/iPhone to share them with friends or transfer PDF/EPUB eBooks from iPad/iPod touch/iPhone to PC as backup without using iTunes. Just two steps to complete file transfer: drag and drop files to application and click “Transfer”! Xilisoft Blu-ray to MKV Converter lets you convert Blu-ray movies of M2TS format to Matroska(MKV) videos to meet special demands of edit, playback and application. Xilisoft Blu-ray Creator Express can convert and burn various videos to Blu-ray discs (BD-R, BD-RE, BD-25, BD-50), AVCHD DVDs (DVD-5, DVD-9), BDMV ISO, and AVCHD ISO image with different resolutions (1920x1080p, 1440x1080p, and 1280x720p). It supports burning camcorder videos and common videos including AVI, MP4, MKV, DV, MPEG, MOV, QT, RM, RMVB, M2TS, MTS, WMV, ASF, DAT, FLV, VOB, SWF, 3GP. 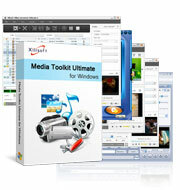 Xilisoft Media Toolkit Ultimate is an integral discount pack, including DVD to Video Ultimate, Video Converter Ultimate, DVD Copy Express, DVD Creator and Audio Maker, to serve you with stronger functions and lower price. You are assisted to convert between videos and DVDs, convert video formats from one to another, copy DVD, and convert various audios with amazing quality and super high speed. With the help of Xilisoft Wii Converter, it can't be more easier to turn your Nintendo Wii to a multi-media player by creating compatible videos and music for enjoyment. 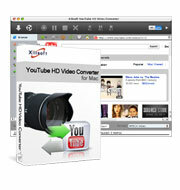 Xilisoft Video Converter for Mac As perfect Mac video converter and Mac audio converter software, Xilisoft Video Converter for Mac supports converting between various video and audio formats, such as MPEG-4, AVI, DivX, XviD, RM, FLV, SWF, MOV, 3GP, WMV, WMA, MP3, AAC, AC3, M4A, WAV, etc. High definition video and lossless audio conversion can be done with ease. 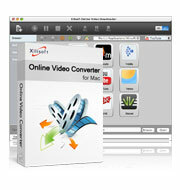 Also you can create video from photos and capture pictures in batches from video with Xilisoft Video Converter for Mac. Clip, merge, crop, effect, watermark and more features help you colorize your video for enjoying with iPod, iPhone, Apple TV, PS3, PSP, Zune, Xbox, etc. 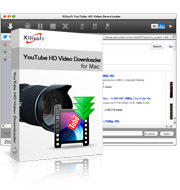 Xilisoft DVD to Video for Mac is powerful and easy-to-use DVD converting software for Mac. It supports converting DVD to many video and audio formats, such as MPEG-4, AVI, DivX, XviD, RM, FLV, SWF, MOV, 3GP, WMV, WMA, MP3, AAC, AC3, M4A, WAV, MP2, etc. And it offers optimized profiles for iPod, iPhone, PSP, Zune, Apple TV, etc. You can convert the whole DVD movie, or choose any chapter or segment to convert. With few clicks, you can enjoy DVD movies anytime and anywhere. The perfect MP4 video converting and DVD burner tool, Xilisoft MP4 to DVD Converter for Mac can convert MP4 videos to the format compatible with DVD players and burn to DVDs on Mac for you to enjoy your fancied MP4 videos on DVD players with your friends. Not only MP4 format video, it can also convert and burn AVI, MPEG, MPG, M2V, DAT, VOB, M4V, MKV and H.264 videos to high-quality DVDs on Mac. Easy Xilisoft YouTube HD Video Converter for Mac can help you to download YouTube standard videos and High Definition videos in resolution of 720p or 1080p in superior speed and convert immediately to regular video formats for playback on multiple devices, like iPod, iPhone, Zune, PSP and etc. Convenient and simple-to-operate, Xilisoft YouTube HD Video Downloader for Mac is your best choice to download YouTube videos, especially the High Definition videos in resolution of 720p or 1080p to Mac with ease. With Xilisoft iPad PDF Transfer for Mac, you can transfer/backup eBooks in format of PDF and EPUB between iPad/iPod touch/iPhone, Mac and iTunes easily and comfortably. Xilisoft Video to DVD Converter for Mac is designed to convert video files in all sorts of video formats including high-definition (HD) videos to DVD movies, ISO images and DVD folder with great menu creating and video effect editing features. Xilisoft DVD Creator 6 for Mac provides the easiest and creative solution to convert the most popular videos formats such as AVI, MPEG, DivX, DV, VOB, WMV or iPhone 4 videos (MOV) to quality DVD discs on Mac. It's so easy to handle to copy and backup DVD with Xilisoft DVD Copy for Mac. You can copy DVD-5 to DVD-5, DVD-9 to DVD-9, DVD-9 to DVD-5, and choose to copy DVD in 1:1 ratio or compress and copy DVD. Copying full DVD disc or main movie only is up to you. In addition, you can copy and backup DVD to ISO file or DVD folder, and burn ISO file or DVD folder to DVD disc. Owning Xilisoft Mac DVD Toolkit, you can convert DVD to any video and audio format, convert between video files, create DVD from various video formats, and copy DVD movies to DVD, DVD fulder or ISO files on Mac. With DVD to Video for Mac, Video Converter for Mac, DVD Copy for Mac, DVD Creator for Mac integrated, Xilisoft Mac DVD Toolkit brings you a more culorful digital life. Xilisoft Online Video Converter for Mac provides a perfect solution to watch, download and convert in one-step online videos to general video formats from the most popular online video websites on Mac. Xilisoft Online Video Downloader for Mac empowers you to visit the most popular online video sites within the application and download favorite online videos in fast speed and great quality on Mac. Xilisoft Photo Slideshow Maker for Mac is a complete photo and video album creating programme that can help you make, store and edit photos and keep them as memories for the years to come.